Easy Coffee and 9Round are the latest two additions to Patrizia’s Walnuts Shopping Centre in Orpington which continues to go from strength to strength following £8 million of investment over the past three years. 9Round have taken Unit 73 totalling 950 sq ft and Easy Coffee have taken prominent corner Unit 69 totalling 1,150 sq ft within the re-modelled open courtyard Leisure Quarter at the Centre which is also home to a seven screen Odeon cinema, Premier Inn, Nandos, Bella Italia, Pure Gym, Creams and independent steak house Cow & Pig. The Leisure Quarter opened in late 2016 and has been a huge success with Odeon reporting over 350,000 admissions per annum. The immediate vicinity now experiences all day and evening trade which has been boosted this year by the refurbishment and repositioning of the Market Square. Bucking the national trend, footfall, dwell time and consumer spend have all been increasing year on year. Both of the main entrances onto High Street plus the 520 space multi-storey car park have benefitted from significant investment over the past 12 months with the aesthetics enhanced. 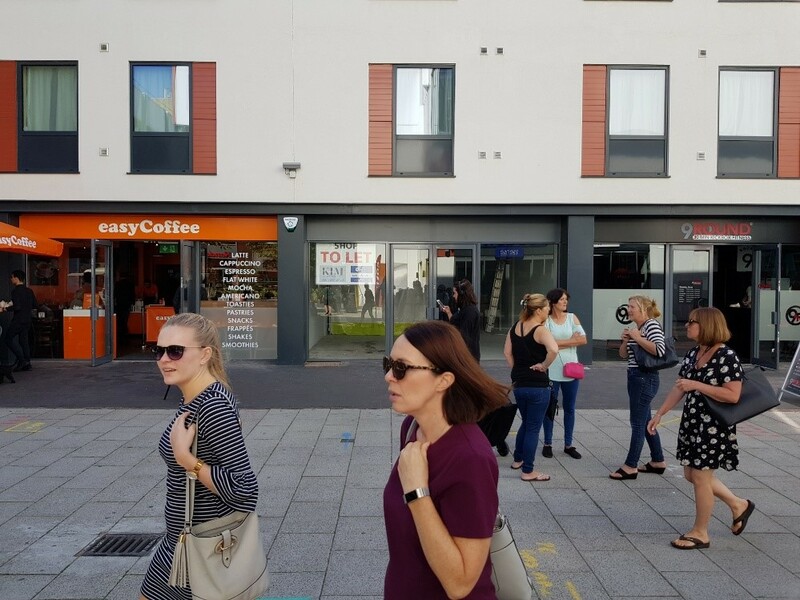 The most recent project, costing over £350,000, has been the creation of new public amenities within the covered section of The Walnuts providing much needed facilities for the local shoppers. The centre has also welcomed a host of other retail occupiers in the last 12 months including Yours Clothing, Trespass, Cards Direct, Julian Charles and Kitchenhaus with Easy Coffee planning to open a mall coffee operation within the covered section of the centre with a dedicated Kid Zone. These occupiers complement and strengthen the existing tenant mix which includes Wilko, Peacocks, The Entertainer, New Look and Argos, all of whom cater for the needs of the local shopper. Only a few leasing opportunities remain for retail and catering occupiers to obtain representation within this improving environment. AS Retail and KLM Retail are the leasing agents on behalf Patrizia.